I recently was the keynote speaker at an event where the CEO had recently announced he had 107 goals or priorities for the year! I was not surprised to learn the company also has 700 products: so many that nobody in the audience knew what all of the products even were! What about you? Have you ever felt the stress of everything-is-important-so-everything-has-to-be-done-but-I-can't-do-it-all? I have. It can grow out of the "good" problem of abundance (too many opportunities and options) or out of scarcity (so many challenges to address) but in both cases it can lead to the same challenge of overwhelm. Visually, it looks something like the figure below. Requests come at us from all angles and we are unprepared to discern between them. As a result, we start saying yes to them without really thinking. This fuels a busyness cycle where the more we take on the less time we have to discern what we should take on. Our discernment forcefield becomes weak and our choices become a function of other people's agendas. The solution is to create space to discern the vital few from the trivial many. 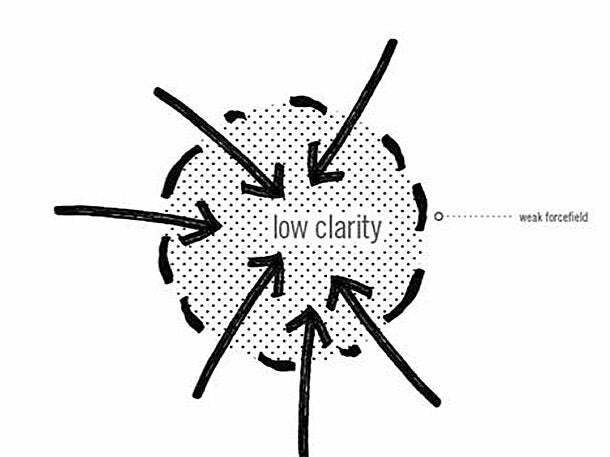 When we do that we can find the internal clarity with which to navigate the external pressures of our hyper connected world. 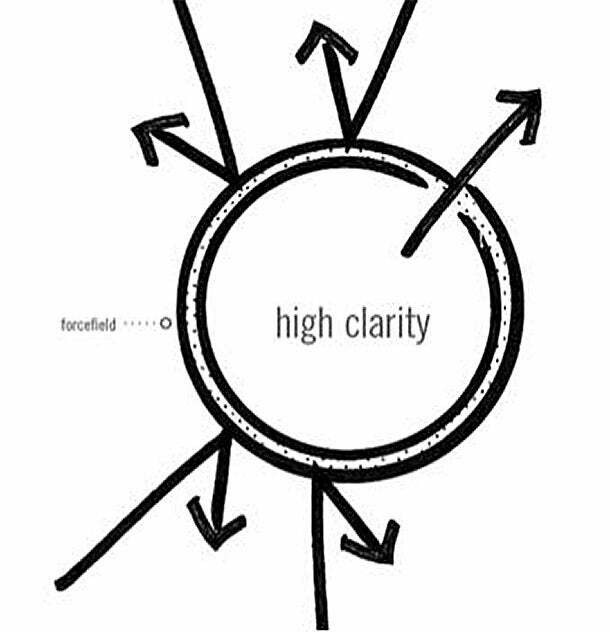 Our discernment forcefield becomes strong and we can more wisely pursue the things which really matter most. Here are a few ways to start discerning the priority amid so many competing activities. Hold a personal quarterly offsite. We all know the basic arguments for executives to hold quarterly offsites: it gives them a chance to look at the big picture, ask the hard questions and explore where things are, where they need to be and how to get there. It is a chance to get away from the reactive, meeting-to-meeting pulse that can lead to otherwise intelligent people to be tricked by the trivial. For these same reasons, I recommend every 90 days you take a day to go somewhere away from the deafening digital noise and usual routine of your busy life and reflect on what really matters. Pretend you have half the time you really have. Recently, I spent two weeks looking after our three children while my amazing wife, Anna, spent time with our eldest daughter in New York. It left me with far less time than I typically have to work professionally. About half the time. This led me to apply extreme prioritization to my work: if I can only work two hours today, what should I get done? This was helpful because the Planning Fallacy is a heuristic that tricks our brains into thinking tasks will take less time than they really take. As a result we can con ourselves into thinking we can do more than we really can do. Instead of trying to cram eight hours of work into four hours, I tried to force myself to think what I would do if I only had two hours. This revealed the things that really mattered. Often we can't discern between the good and the great, the important and the essential because we are too close to the issues at hand. When I get into this type of pain I turn to my wife and ask her to look at my list. She can often almost effortlessly help me to do this. And the same happens when she asks my views on the matter. Stop letting your desktop bully you. There is enormous freedom and bursts of clarity that come when we declutter our environment. Physical things in our lives prompt us and even bully us to pay attention to them. And the same is true for digital things. When our desktop is fenzied, when we have 10 windows open, when we are looking to our inbox as our to-do list (when really our email mostly consists of other people's agenda) then we will find it tough to discern what the priority really is. As I have written before, the word "priority" came into the English language in the 1400s and it was singular. It meant the very first thing. It stayed singular, very sensibly, for the next 500 years! Only in the 1900s did we pluralize the term and start speaking of "priorities." So while we can find ourselves feeling that everything is a priority, literally by definition, it can't be. By creating the space to think and listen we can discern the first or prior thing among many other good and worthy tasks.